Is Commercial Trucking for You? As commercial and fleet experts, we’re no strangers to the wide variety of businesses that require trucks, cab overs, box vans, and equipment. There are many different types of drivers out there. If you’re considering getting into the business, here are a few things to think about to help make the decision easier. While many long-haul truck drivers are often in 18-wheelers, there are long-haul drivers that are responsible for driving and operating cabover trucks. Both long-haul and short-haul drivers can be found in cabover trucks such as the Hino 195 that put the driver close to the action and allow maximum space for cargo. Common long-haul delivery cargo in a cabover can include things like custom furniture, workout equipment, and industrial equipment. Short-haul drivers include deli drivers, retail stock, and clothing. The most important difference between the two is the amount of time that you’ll be spending in the vehicle. Hino cabovers are specially-designed for maximum driver visibility, comfort, and accessibility. We know that sitting for long periods of time isn’t for everyone, and this is a serious consideration for truck drivers. Whether your adventures are short or long, we suggest taking breaks as-needed to prevent injury. Tow trucks are something everyone has needed, but nobody enjoys needing. As a tow truck driver, it’s possible that you might be subject to long days or middle-of-the-night calls. Tow truck driving can take you across the city, as each business has different hours and schedules. The business is growing and incredibly profitable for those who are able to reach the masses. 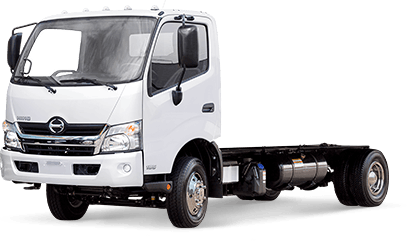 As a tow truck driver or business owner, you’ll be looking at vehicles like the Hino 258 series. These flatbed trucks are able to fit vehicles small and large on the bed, and getting them up there is a breeze. Despite comfortable driver cabins, most drivers aren’t obligated to be in them for the same amount of time long-haul drivers. You’ll have more frequent stops and maneuvers than other types of drivers to mix up the routine. 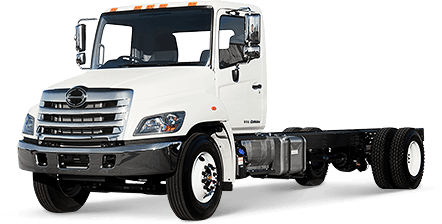 Freight drivers and deliveries are two of the most common industry applications we see for our Hino trucks. Some drivers are most likely to deliver commercial or personal goods on a daily basis and on varying routes, while others deliver goods on a business-to-business basis. This can be between warehouses and storefronts, businesses and their different locations. Some drivers are responsible for helping unload goods once they arrive, and others are not. When considering a position in the industry, check to see if this will apply to you. Some drivers enjoy the physical practice of changing their job, while others may not be prepared for the physical exertion. Keep this in mind, as well as the classification of license that you may require. Here in Ontario, the rules for driving trucks of different classifications can be found here. Whatever your commercial trucking or business needs, the commercial experts here at Somerville Hino can help you find the right truck for you.